I hope you had a wonderful Thanksgiving. My rolls turned out awesome and I hope yours did too! But enough about yesterday. Today, the day after Thanksgiving, I always feel a bit sluggish and bloated from all the rich food I ate the day before. 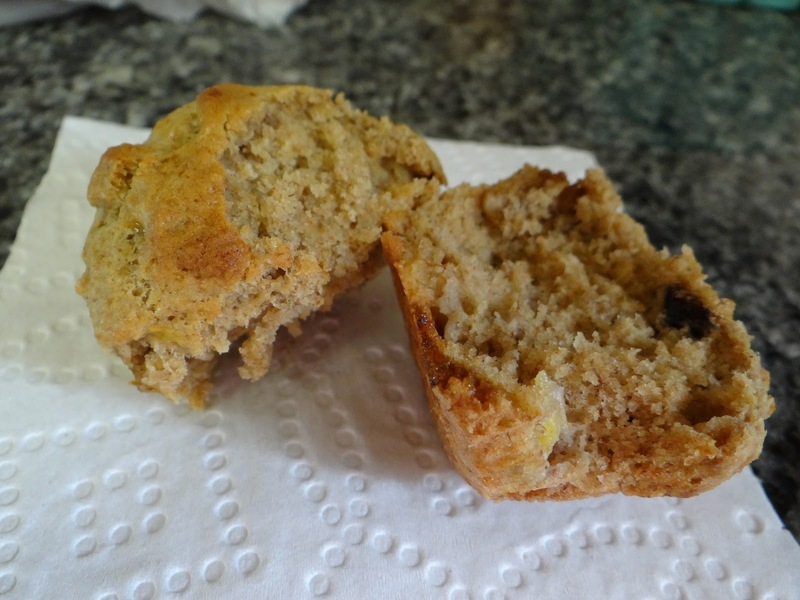 These muffins are perfect for, um, helping your digestive process along. 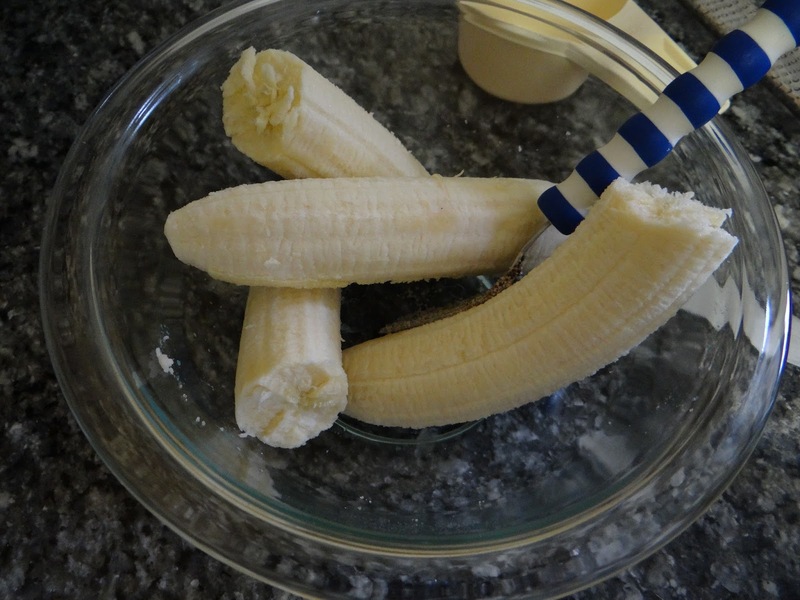 They have bananas, prunes and whole wheat flour (or wheat bran) which are healthy and helpful. I also cut some of the sugar so they’re (mostly) good for you. Sorry, I didn’t clean my counters before taking pictures. You know, sluggish. 1. Preheat the oven to 375 degrees F and position an oven rack in the center of the oven. Line a muffin pan with liners or use butter. 2. 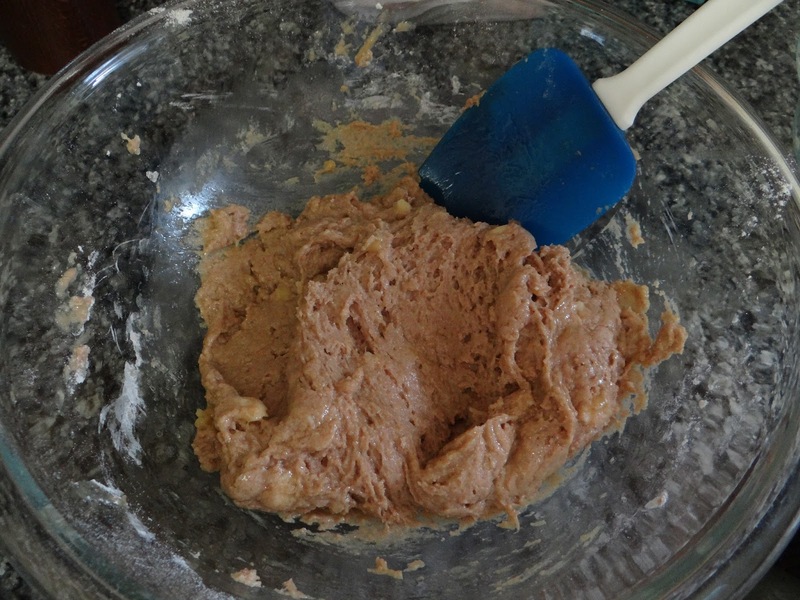 In a large bowl, whisk together the all-purpose flour, wheat flour, baking powder, baking soda, salt, cinnamon and nutmeg. Set aside. 3. 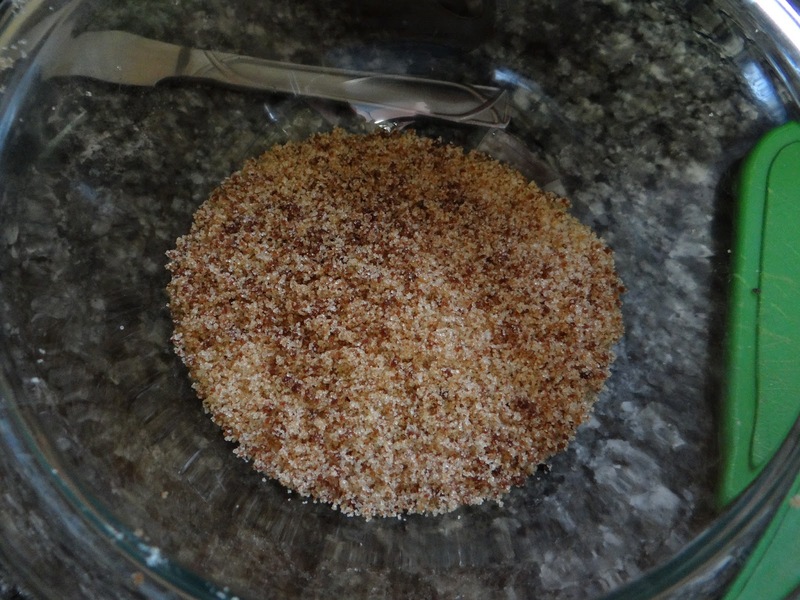 In a small bowl, mix together the granulated sugar and molasses with a fork. Add the prunes and toss until the prunes are coated with brown sugar. 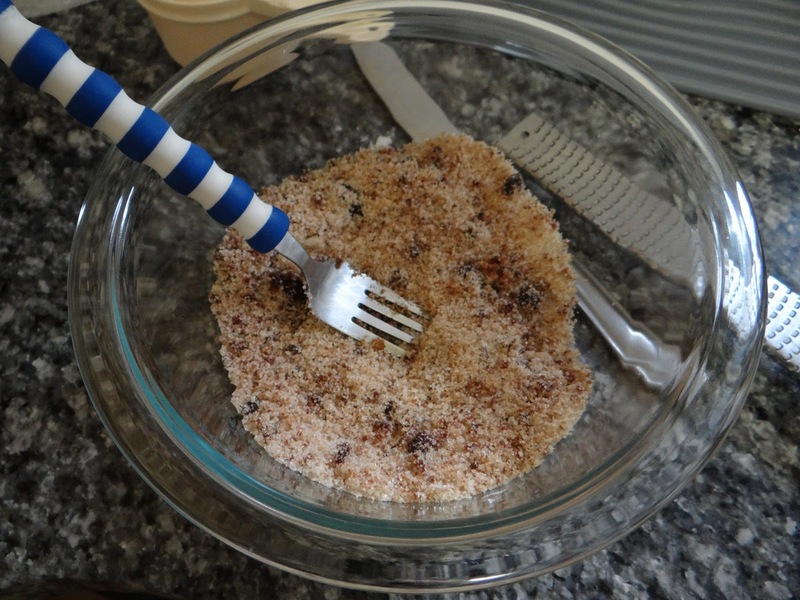 Use a colander to sift out the prunes, retaining the sugar. 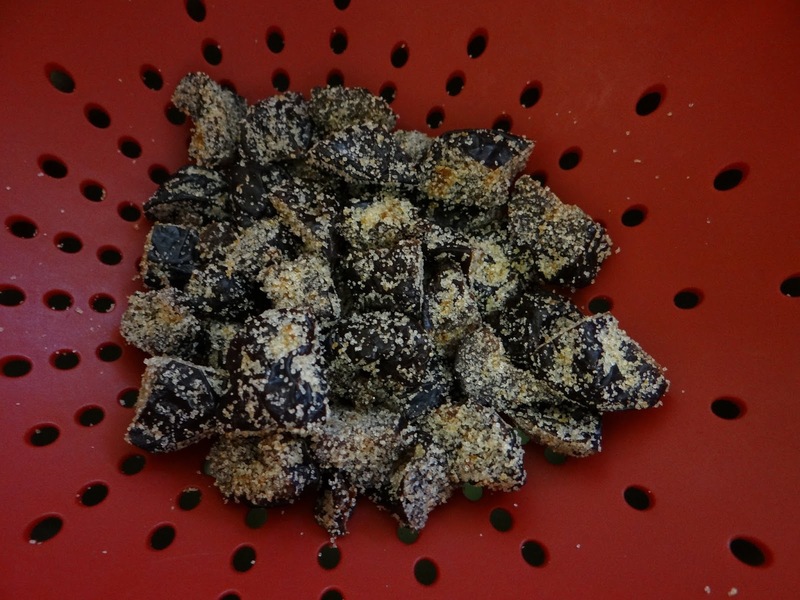 Set the coated prunes aside. 4. 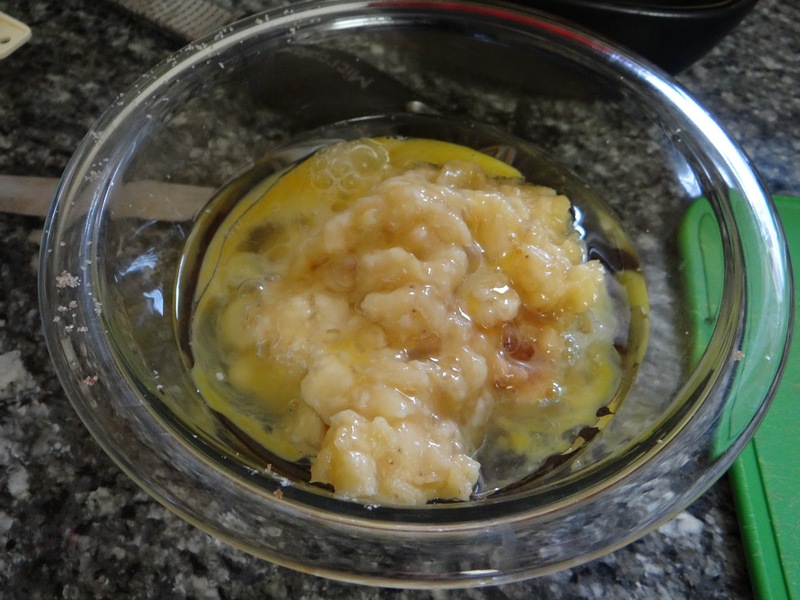 To the brown sugar, add the smashed bananas, egg, cooking oil, and vanilla. Stir to combine with a fork or whisk. 5. 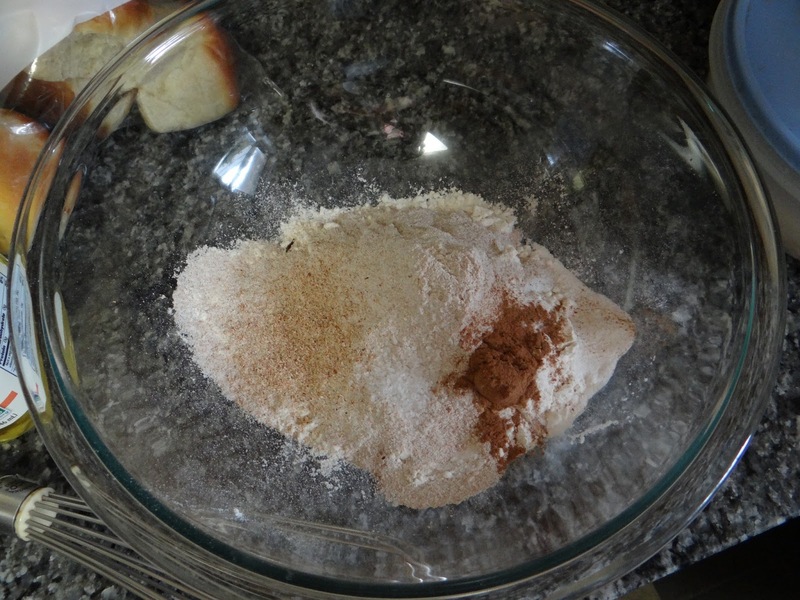 Add your brown sugar mixture to the flour mixture. Use a wooden spoon or spatula to combine. At this point, take a look at your batter. Is it watery? 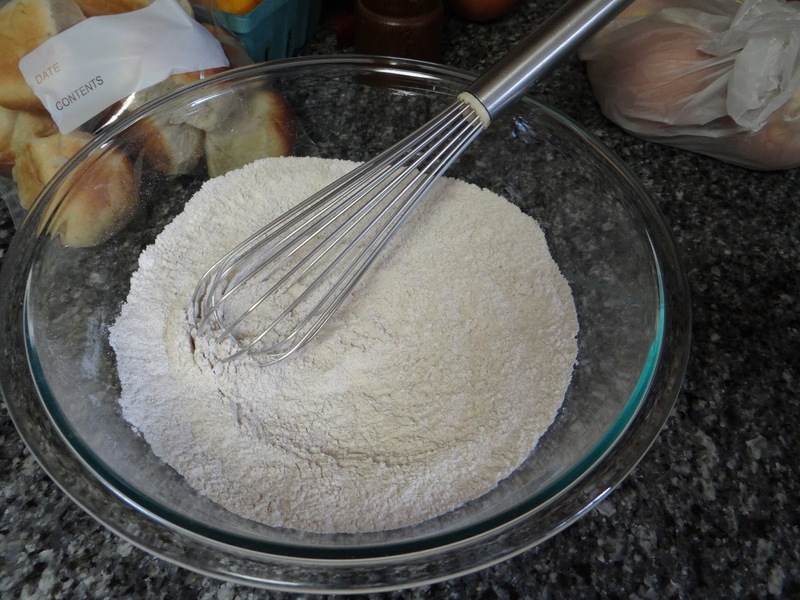 Add more flour, 1/4 cup at a time, until it is the consistency of mashed potatoes. Or does it look like this? If it looks like this, there’s only one thing to do. Add more oil. I’ll explain why in a “The Science Behind…” post. 6. 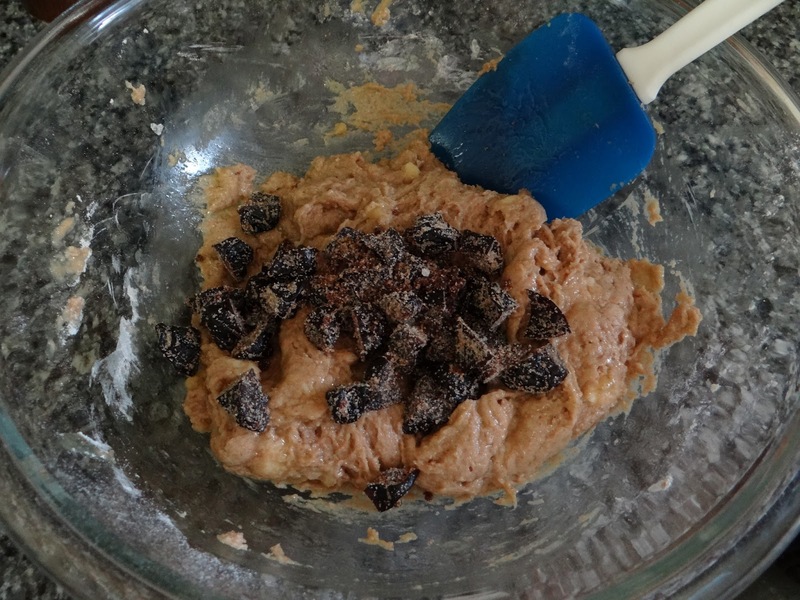 Add the prunes into your batter last. Now we’re ready to bake. 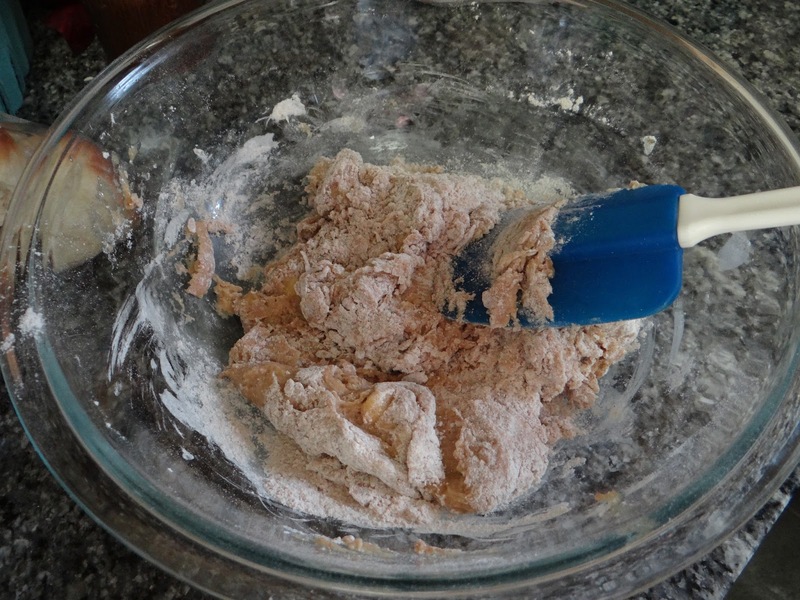 For regular muffins and muffin cups, I use 1/4 cup of batter for each. As with rolls, it’s important for all the muffins to be the same size so they cook evenly. 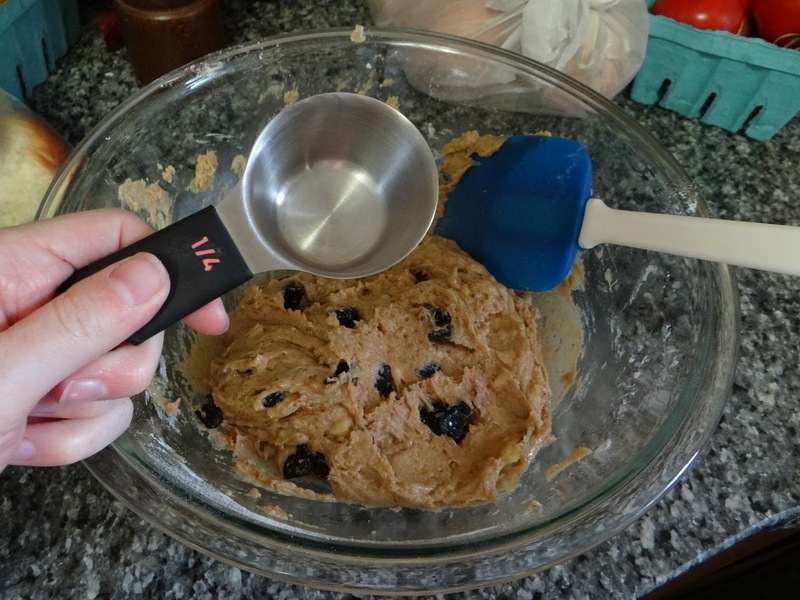 Taking your 1/4 measuring cup, scoop some batter and then SCRAPE the top of the measuring cup along the side of the bowl so it’s a level 1/4 cup. Then use your finger to get all of the batter out of the cup into your muffin pan. 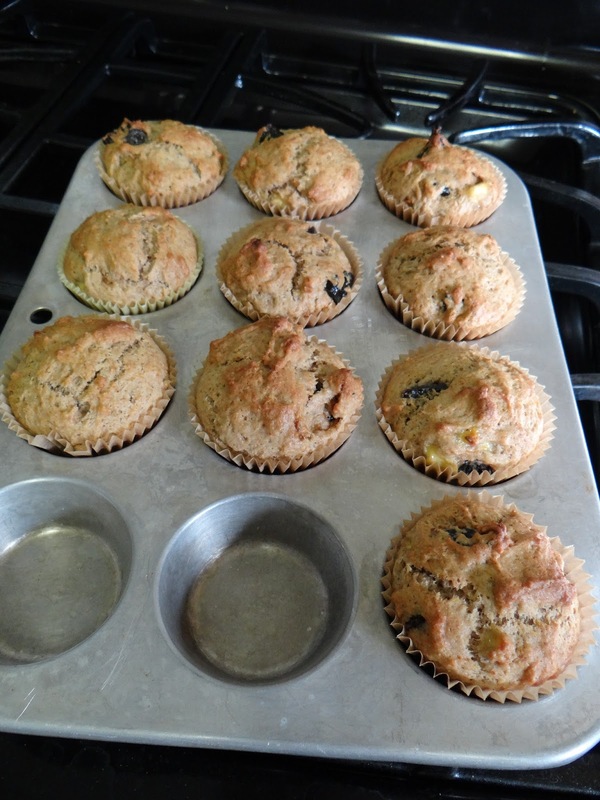 Now- have you ever made a recipe that called for 12 muffins (or however many the recipe calls for) and you end up running out of batter, or conversely having too much batter left over after filling the muffin tin? There’s an easy way to fix that – using bread (muffin) math! You want 12 muffins, and you are using 1/4 cup of batter per muffin. 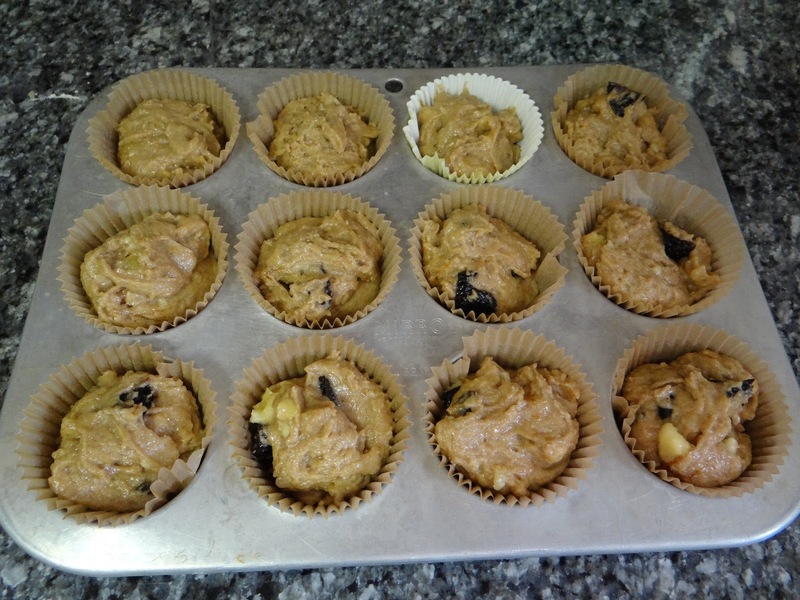 12 muffins x 1/4 cup = 3 cups of batter. This is easy to check – just pour the batter into a large measuring cup. Is it about three cups? You’re good to go. 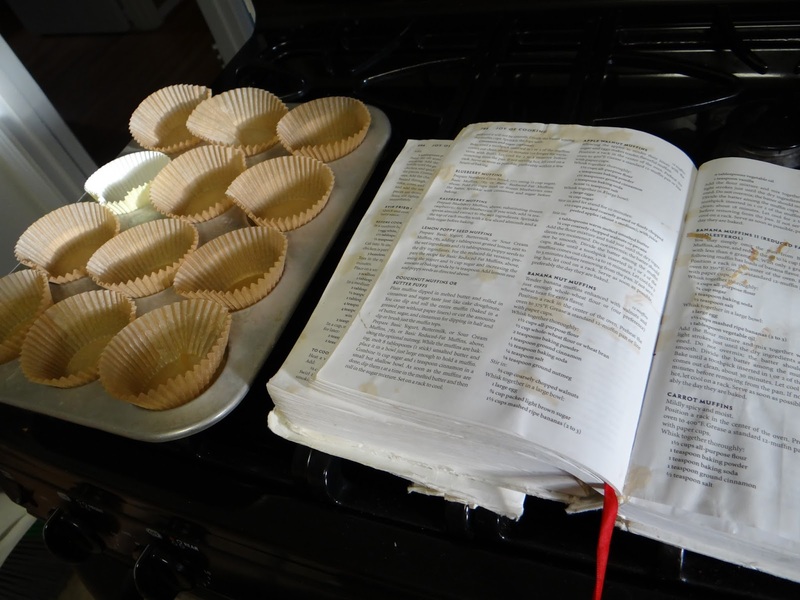 Muffins are very forgiving- taking two minutes to measure your batter is not going to mess them up. 7. Now pop those bad boys in the oven for 18+ minutes. I say 18+ because the recipe says 18 minutes, but I had to bake them for an additional 5 minutes for them to set up and get a nice brown top. When they’re ready, take them out and let them cool for about 10 minutes. Then peel the paper off and enjoy your healthy, post-Thanksgiving health tonic in edible form. 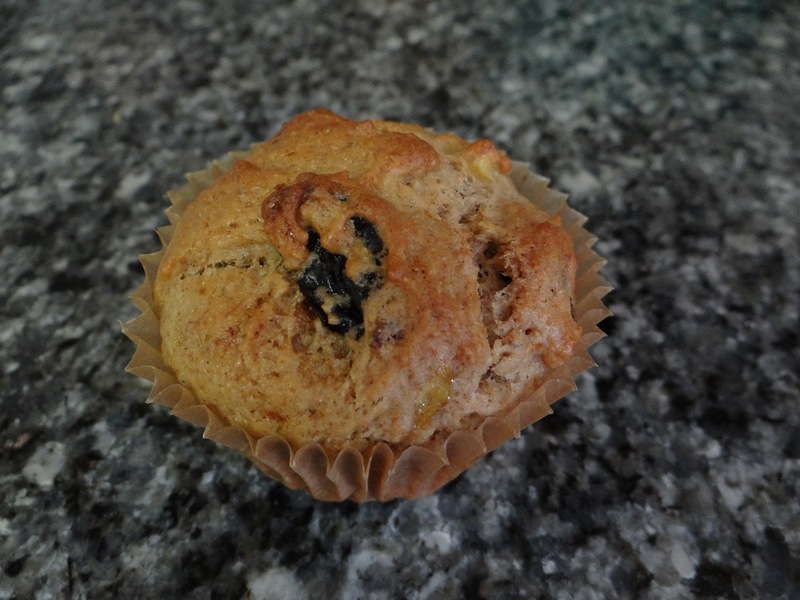 If you want to know the science behind these muffins, check out this post! 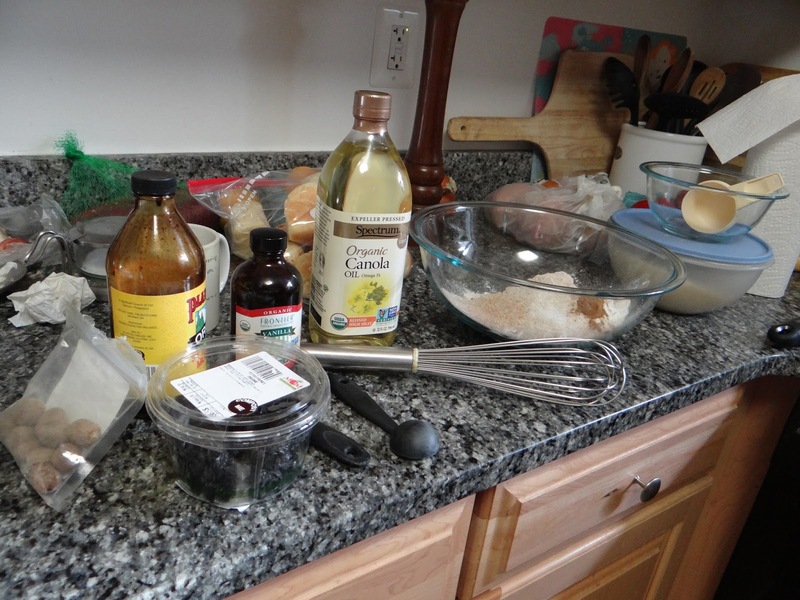 My favorite recipe for hamburger buns and rolls – UPDATED! I would ALWAYS rather eat my tonic than drink it! ;-D These would be great to prepare and then bring to work for a week, too!